While the German charts were dominated by schmaltzy songs from the Dutch child star Heintje, top international stars took a back seat; the Beatles reached sixth place with "Hey Jude" and 27th with "Lady Madonna”. Manfred Mann's "Mighty Quinn" was at 18, four places ahead of "Jumpin' Jack Flash" by the Rolling Stones. One year before Woodstock, 1968 gave birth to new musical highlights. Many of the titles produced in this year reflect the ‘68’s spirit of optimism and survived many decades unscathed. 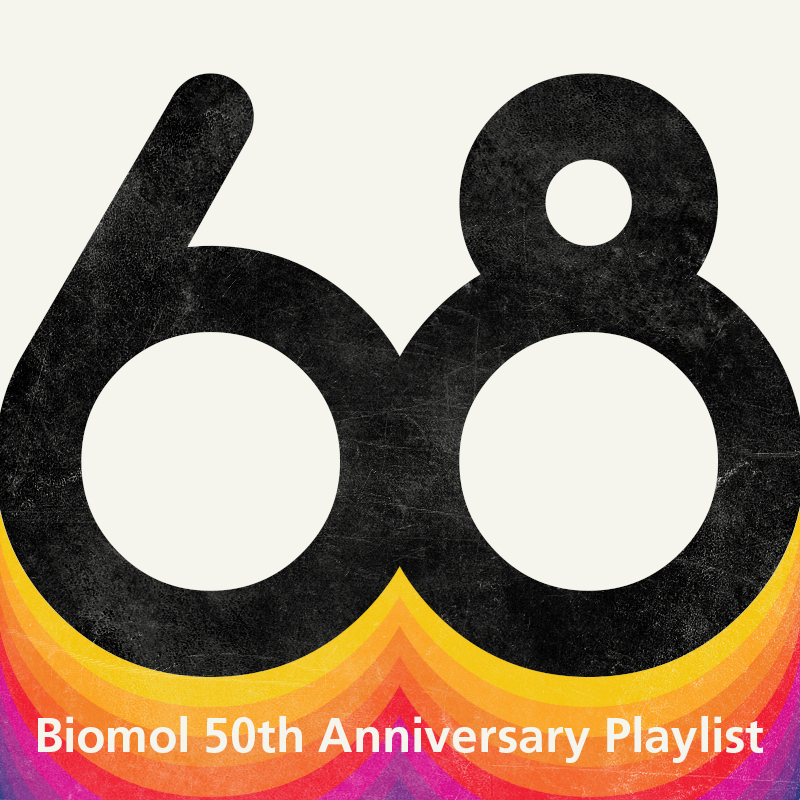 For our 50th anniversary, Biomol has put together a YouTube and a Spotify playlist. Including, of course, Scott McKenzie's hippie anthem "San Francisco”. Jimi Hendrix shines on the guitar with "Purple Haze" and "Voodoo Child”. The Doors sing "Hello, I Love You", while the Stones celebrate the "Street Fighting Man”. Otis Redding („Sitting on the Dock of the Bay“),Louis Armstrong, Simon & Garfunkel and Tammy Wynette play country classics including "Stand by Your Man", offering gentler tones. Of course, we couldn’t forget Johnny Cash, who made a sensational comeback in 1968 with his appearance in the US Folsom Prison. Biomol wishes you a lot of fun while listening!